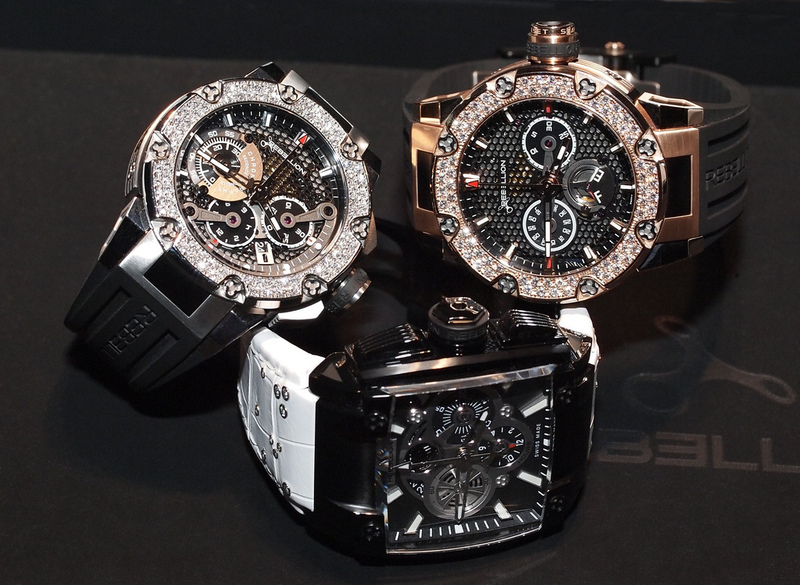 These are three Rebellion timepieces that I photographed during Baselworld, back in March. 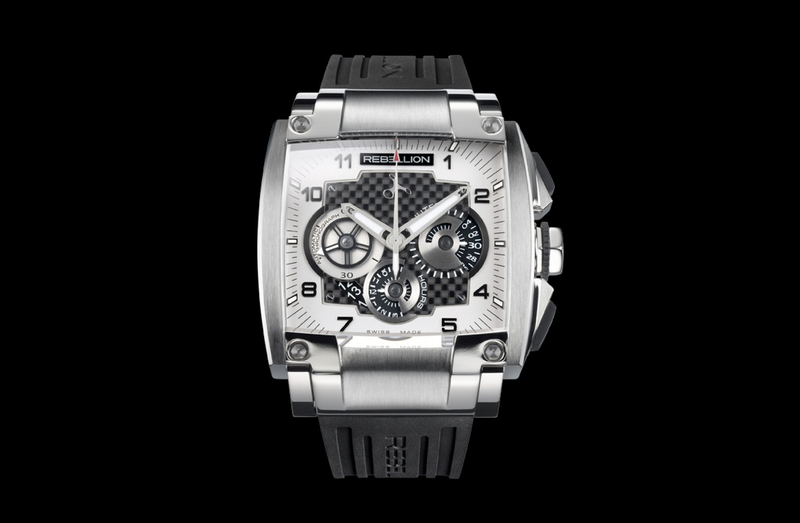 Rebellion is a small, modern, racing inspired watch brand. 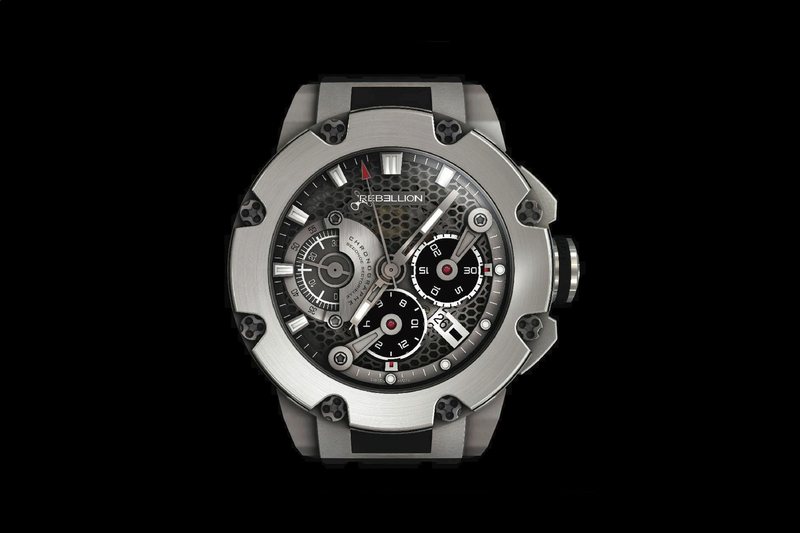 Their timepieces are large and have bold, sporty styling. Each collection is limited edition, with an edition number engraved on the case flank. 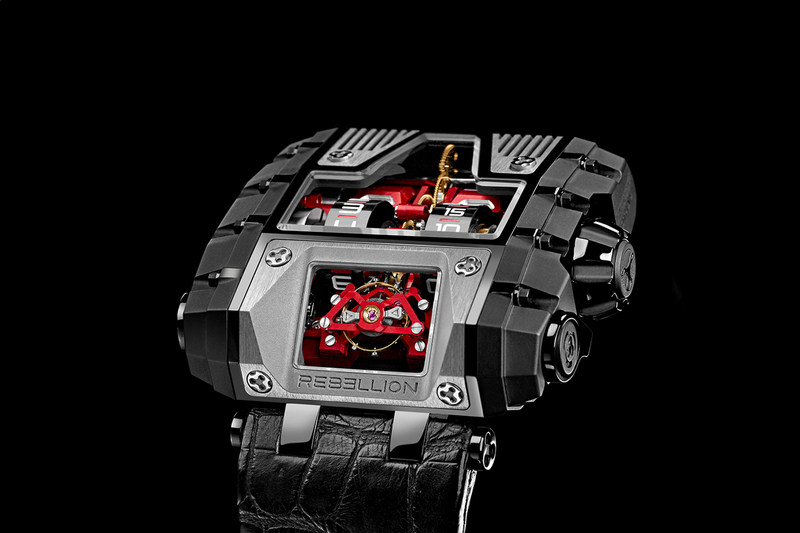 Rebellion timepieces generally cost $20,000 and up.